Animation Ground Control was all about one thing, that’s right animation and here are my high notes and lows from that night. This new short was the main reason to why I wanted to attend Animation Ground Control, and it did not disappoint. I turned out to be my favorite of the night. 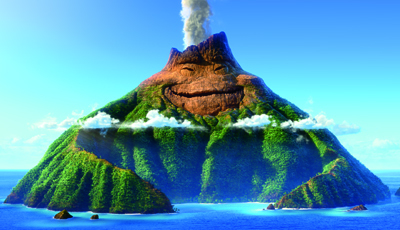 This short by Pixar that was inspired by the Hawaiian Islands is about two volcanoes quest for love. Keep your eye open for this one. This wonderful little stop animation was a perfect blend of romance and comedy with a nice little twist at the end. What this animation did best was nail the speed dating scene and atmosphere. This animation just did not due for me, why you ask? Well the plot a very simple is technology ruining he world as we know it and animation did not really hold my attention. Overall, it was only so so and did not stand up well to the other animations.